A figurehead from the USS Hartford currently resides at the Connecticut State Capitol and serves as a reminder of the state’s rich maritime heritage. 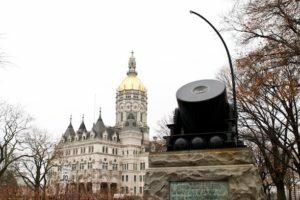 In front of the state capitol is a mortar commemorating the service of the First Connecticut Heavy Artillery Regiment. The mortar may or may not be the original “Petersburg Express” used at the famous siege of Petersburg, Virginia, during the Civil War. 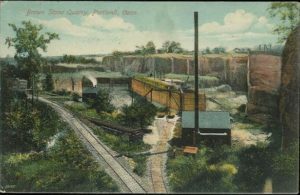 The First Light Battery Connecticut Volunteers took part in numerous battles during the Civil War. 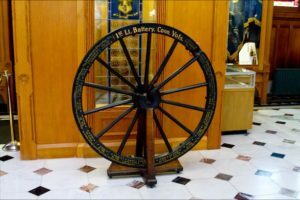 A wheel damaged in battle now resides at the Connecticut State Capitol to commemorate the service of this unit. Although not a native of Connecticut, one would be hard pressed to find a man more committed to the people of Connecticut than Joseph Roswell Hawley. 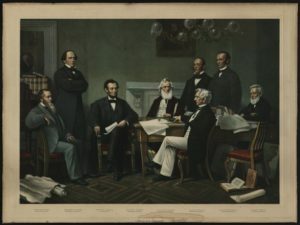 He became Brigadier General of the 1st Connecticut Infantry during the Civil War and served the state as both a senator and as Connecticut’s 42nd governor. Within months of his death, the Connecticut legislature authorized construction of a memorial in his honor. The Connecticut State Capitol displays part of a tree with a cannonball lodged in it. 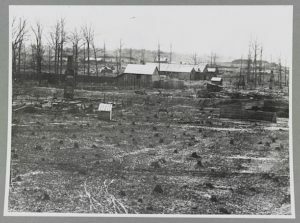 While it is believed to be a remnant of the battle at Chickamauga Creek during the Civil War, evidence exists suggesting the artifact may have been fabricated for the purpose of commercial sale. 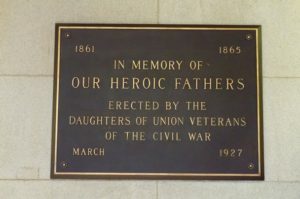 To counter public perceptions that Union women lacked the patriotism found in their Confederate counterparts, in 1927, two different women’s organizations dedicated plaques to commemorate events and service in the Civil War. 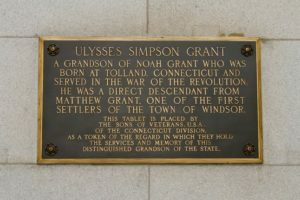 The Connecticut Division of the Sons of Veterans, USA, commissioned a memorial tablet to Ulysses S. Grant who led Union forces during the Civil War, became the eighteenth president of the United States, and whose ancestors had numerous ties to Connecticut. 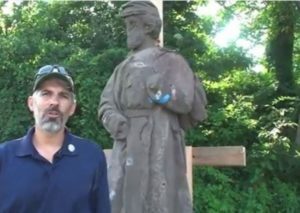 The Forlorn Soldier, a statue by James G. Batterson, survived years of neglect, punishing weather, and movements to tear it down, and yet still serves an important purpose in Civil War commemoration. 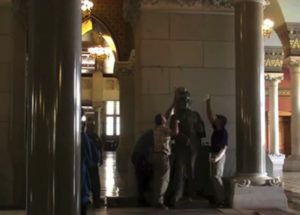 In September of 2013, officials arranged for the statue of the Forlorn Soldier to be placed in its new permanent home at the Connecticut State Capitol. Outside the Connecticut State Capitol building in Hartford stands a monument to the Connecticut prisoners retained at the Andersonville Prison during the Civil War. 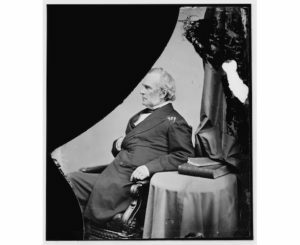 Connecticut governor William Buckingham made significant contributions to the state’s war effort, sometimes even covering war expenses out of his own pocket. 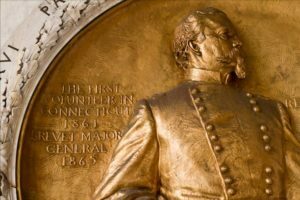 His bronze statue at the Connecticut State Capitol honors the selfless manner in which he guided the state through the Civil War. 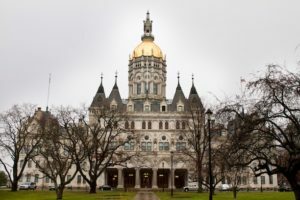 The Connecticut State Capitol was built at a time when Civil War commemoration was gaining popularity. Capturing elements of the Victorian Gothic and Second Empire styles, the building is a testament to the work of James Batterson, Richard Upjohn, and the era in which it was designed and fabricated. Oral histories make up a substantial portion of our knowledge regarding the Forlorn Soldier. Several theories exist as to why the statue’s creator designed the foot placement in a nontraditional stance. 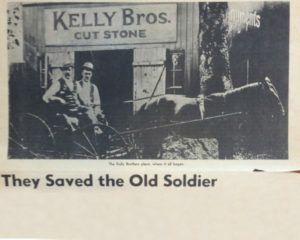 Charles Conrads, a German immigrant and George Batterson’s lead sculptor, helped design the initial shape of the Forlorn Soldier. Unlike many sculptures of the period, the piece was made from Connecticut brownstone rather than the more traditional process of using granite. 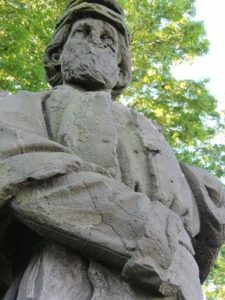 A 1932 Hartford Courant report helped perpetuate a legend about the Forlorn Soldier, a Civil War statue designed with a nontraditional right-foot-forward stance many thought to be a mistake. The Connecticut State Capitol currently houses two important artifacts to commemorate the service of the USS Hartford. The first is a figurehead taken from the original ship. The second is a scale model of the USS Hartford. 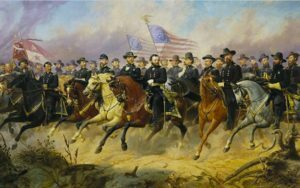 Battle flags played an important strategic and ceremonial role in Civil War battles. 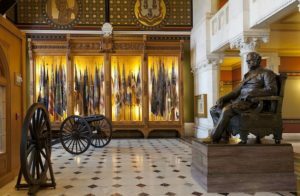 The preservation of Connecticut’s Civil War colors has been a long, delicate, and expensive process. 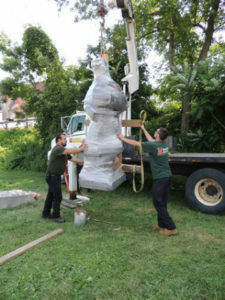 Originally located on Charter Oak Avenue, the statue of the Forlorn Soldier moved to Airport Road in the spring of 1968, after ConservArt worked to repair and restore the statue. 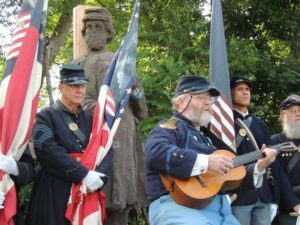 The completion of the Forlorn Soldier did not meet with the pomp and circumstance of many other CIvil War commemorations, despite its media coverage and an overflowing sense of nationalism among the general public. 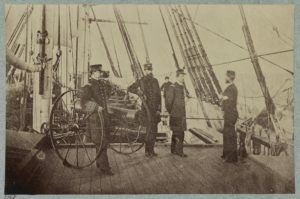 Earning the trust of Abraham Lincoln, despite reservations from many in Lincoln’s cabinet, Gideon Welles navigated the Union navy through the Civil War. 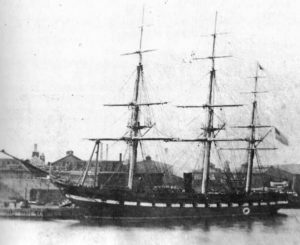 He did this largely through expanding the navy and investing in new technology, such as ironclad ships. 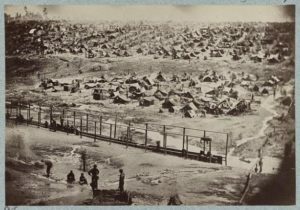 Born in New Haven, Alfred Howe Terry studied law before heroically capturing Fort Fisher during the Civil War. He earned the thanks of Congress for this victory before maintaining peace between whites and Native Americans in the Dakotas. Regimental flags played important symbolic and strategic roles in battle. 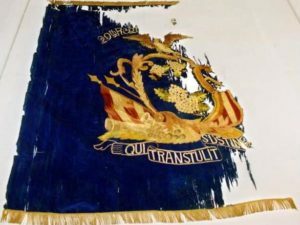 The State of Connecticut maintains a collection of 110 such flags from the Civil War, among them, the flag of the 29th (Colored) Volunteer Infantry.